Boat Description The Avon Seasport 400 Jet Deluxe is a stylish, lightweight boat that has room for four passengers and is great for tender duties, water skiing, and fun. Sporty looks, excellent seating, and complete, multifunctional digital instrumentation with navigation lights are all standard features. The compact design of the 400 Jet Deluxe makes this boat easy to launch. 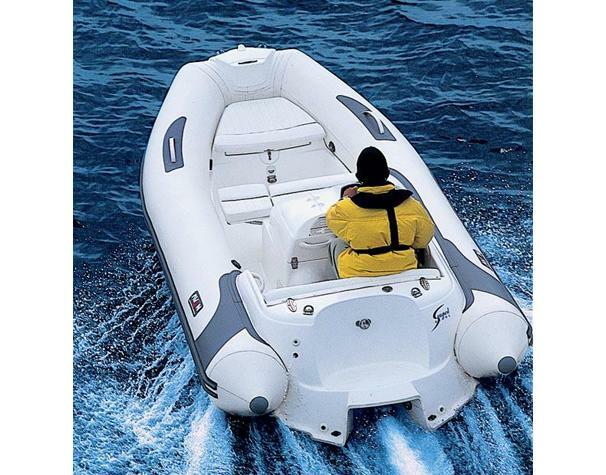 Reaching top speeds of up to 40 miles per hour, this boat has great maneuverability.